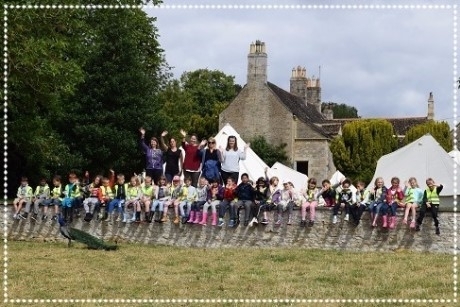 Throughout the summer term, Peterborough-based Sacrewell Farm will be running Farm Camp for pupils and details have been revealed for schools considering a visit. Farm Camp is most suitable for Year 3 and 4 students, although all ages are welcome. The farm describes the camp as ‘perfect’ for a first residential experience. What does Farm Camp entail? This experience offers schools the opportunity to immerse their pupils in farm life. From mucking out donkeys to digging up potatoes they’ll eat for dinner, children will be involved in all aspects of farm life while developing team work and resilience along the way. Day time activities might include grooming the ponies, walking the cattle, health checking the sheep, or making a mud bath for the pigs. All groups participate in a tour of the watermill too, understanding the journey of wheat from the field to the flour they will use to make their evening meal. Children may make pizza, press apples, churn butter, and dig vegetables; they will all do something towards preparing their food. During the evening, the children will gather around a camp fire before walking to the tented village where they’ll spend the night in bell tents. The next morning there’s a feed round to do and maybe some mindful yoga before heading back to school. School staff are also very welcome to run their own activities, possibly including time for reflection, keeping a diary, sketching and games. Farm Camp is available Tuesday to Wednesday or Thursday to Friday, between May and October. If you would like to make a booking, get in touch with Nikki by e-mailing nikki.cherry@sacrewell.org.uk or phoning 01780-781377. For further information visit www.sacrewell.org.uk/learning.